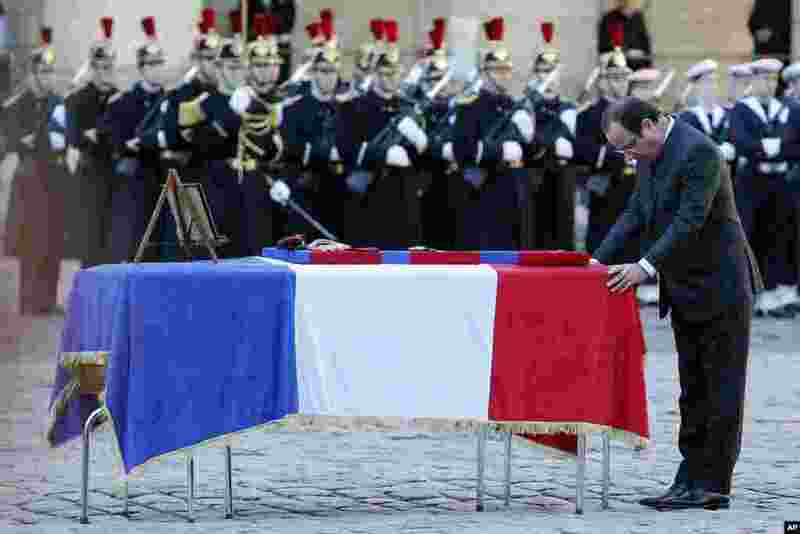 1 French President Francois Hollande pays his respect at the coffin of one of the two soldiers that died on Dec. 9 in Central African Republic, at the Invalides in Paris. 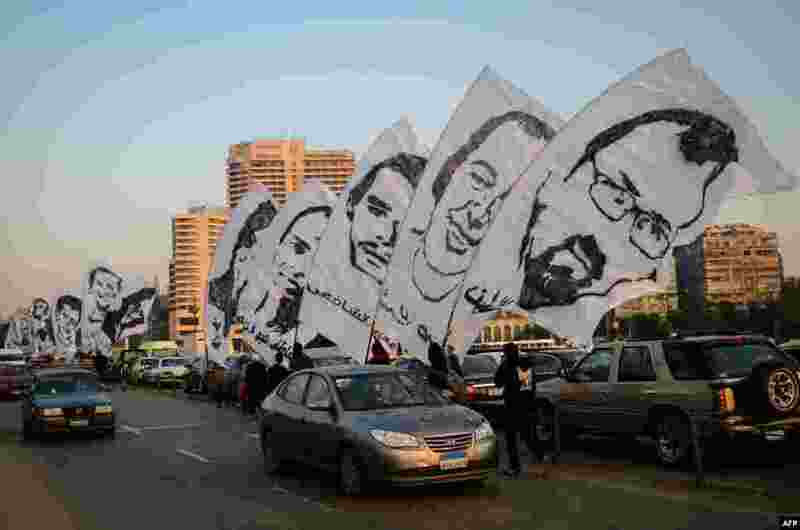 2 Egyptian protesters hold portraits of people killed last year, as they march in downtown Cairo towards the cabinet offices to commemorate the second anniversary of the 2011 clashes with security forces. 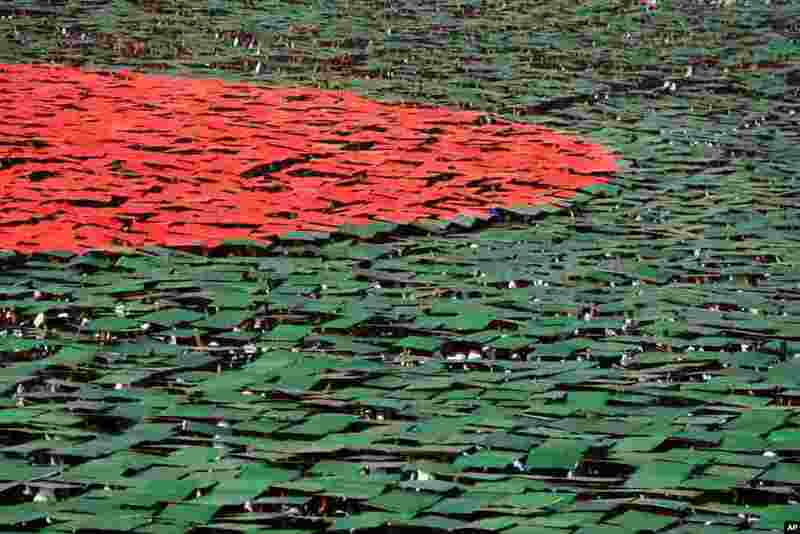 3 Bangladeshis flip colored cards to form the national flag during Victory Day celebrations in Dhaka. 4 Palestinian rescue volunteers ride a boat with residents in Gaza City. 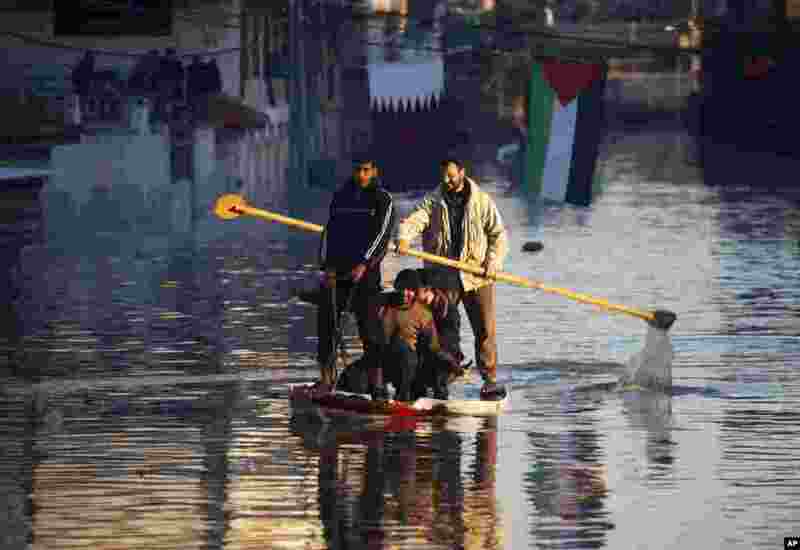 Rescue workers evacuated thousands of Gaza Strip residents from homes flooded by heavy rain, using fishing boats and heavy construction equipment to pluck some of those trapped on upper floors.